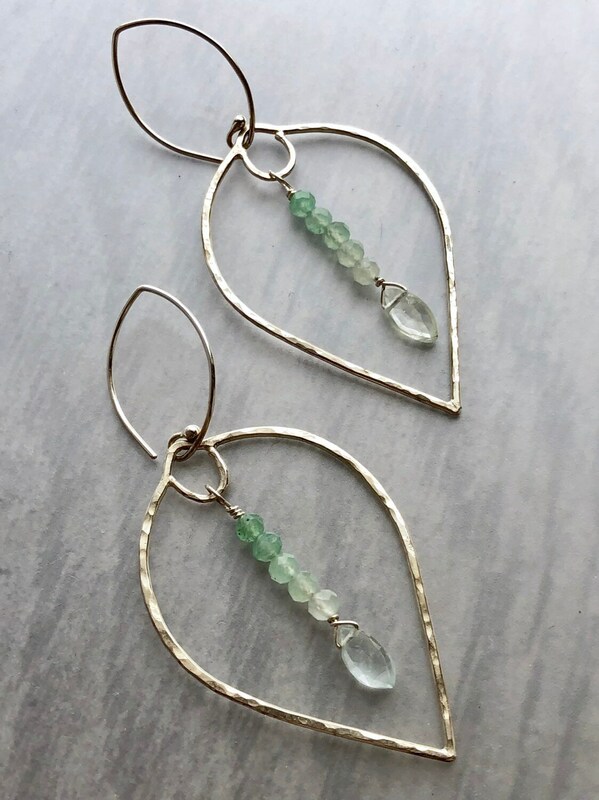 These minimal, elegant, leaf-shaped earrings are made from 18 gauge sterling silver wire, shaped, hammered, and soldered by hand. 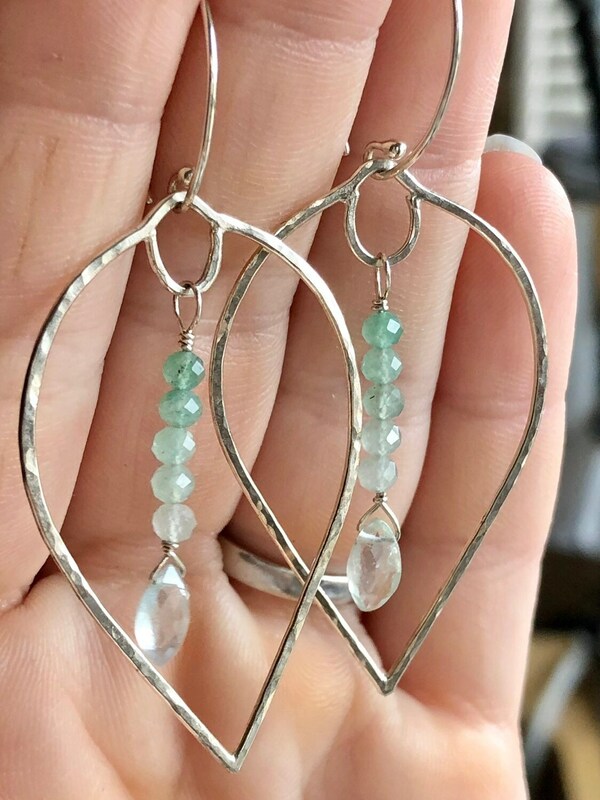 A line of shaded green chrysoprase faceted rondelles hangs in the center, finished with a graceful marquise cut moss aquamarine briolette. 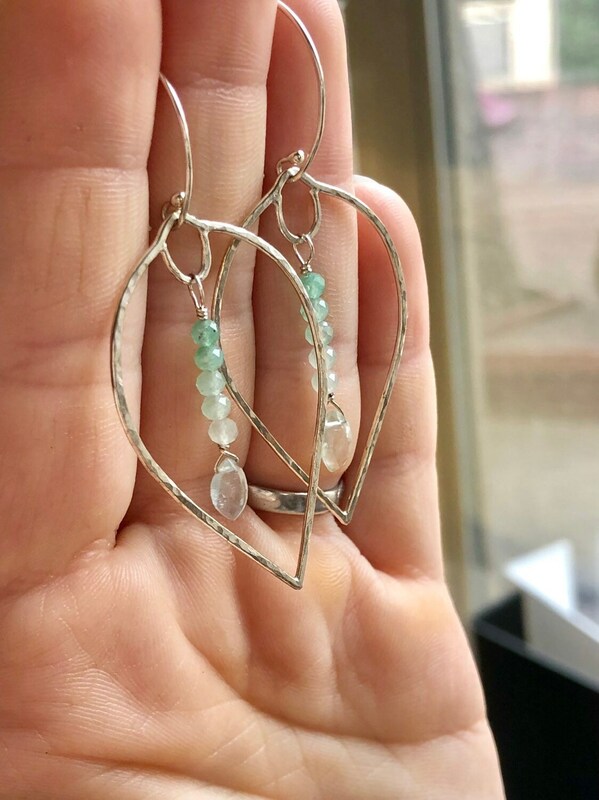 The handmade ear hooks are also leaf-shaped. 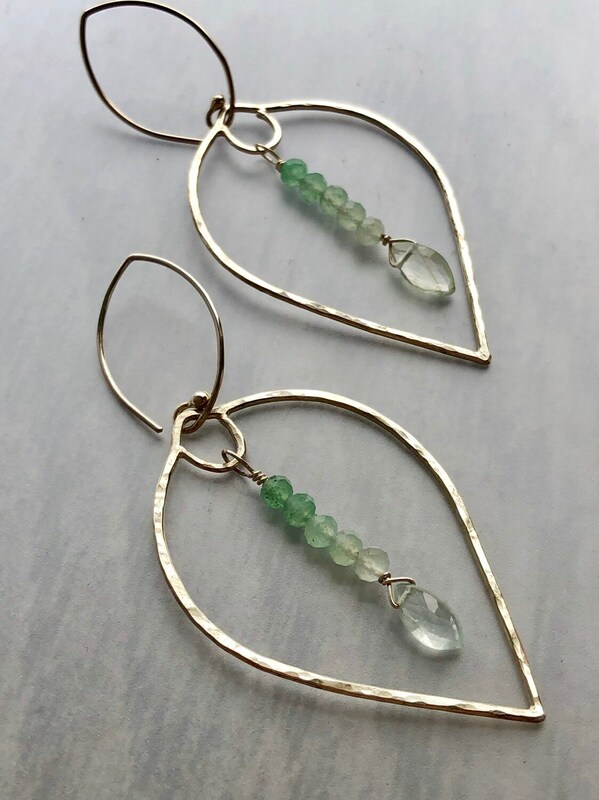 • The chrysoprase rondelles are 3mm in diameter. 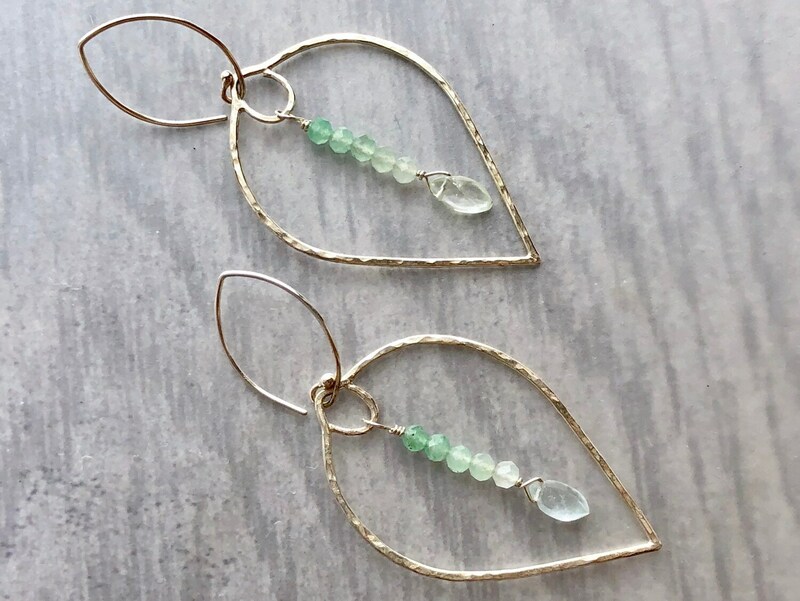 • The moss aquamarine briolettes are 7mm x 4mm. 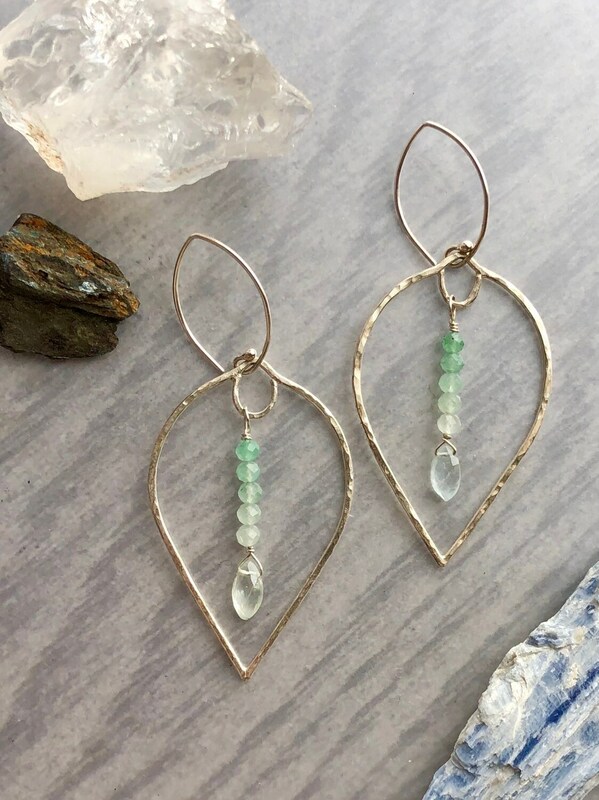 • The earrings are 2.5" long.